Hezbollah leader says “very big victory” coming in south Syria, amid reports of a ceasefire in the area. Hezbollah leader Hassan Nasrallah said on Friday that a “very big victory” was coming in south Syria, where an offensive by the Syrian has made rapid gains against insurgents, Reuters reported. 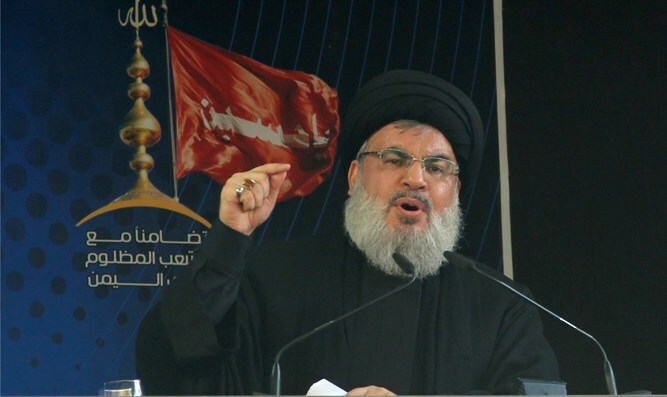 Nasrallah would not elaborate but did say in a televised speech that Hezbollah was establishing a mechanism to return “the biggest possible number” of Syrian refugees who want to go home safely and voluntarily. “We are ready to help ... and we will continue helping until this matter is settled politically and officially between the Lebanese and Syrian governments,” he added. In the next few months, Hezbollah will directly collect requests for returns from refugees, deliver them to Syrian authorities, and coordinate with General Security, he said, according to Reuters. Following Nazrallah’s speech, a Jordanian official source said there were confirmed reports of a ceasefire in southern Syria that would lead to "reconciliation" between the opposition and government forces, reported Haaretz. The source did not elaborate further on the reports of an agreement in the territory where Syrian government forces have been waging an offensive to regain rebel-held territory since last week.